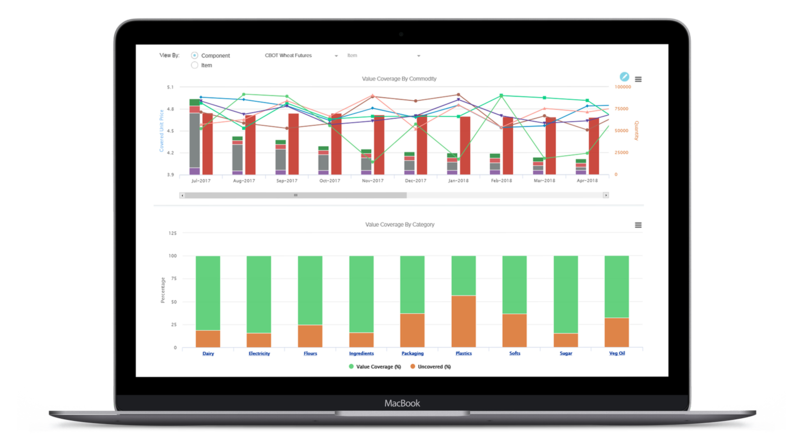 Track, monitor, analyze, and manage all enterprise-wide spends including budgeted, actual, and projected. 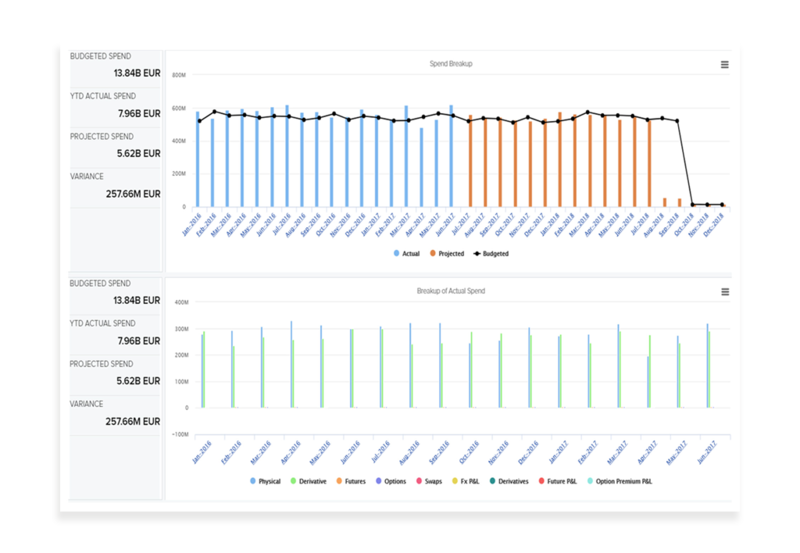 Simulate projected spend and perform detailed spend attribution analysis. View coverage and price risk. Perform market simulations to evaluate the resulting impact on coverage. Get instant alerts if coverage breaches corporate governance policies. Collaborate across finance, category and risk managers to manage enterprise-wide budgeted, actual, and projected spends, along with variance and coverage across portfolios. 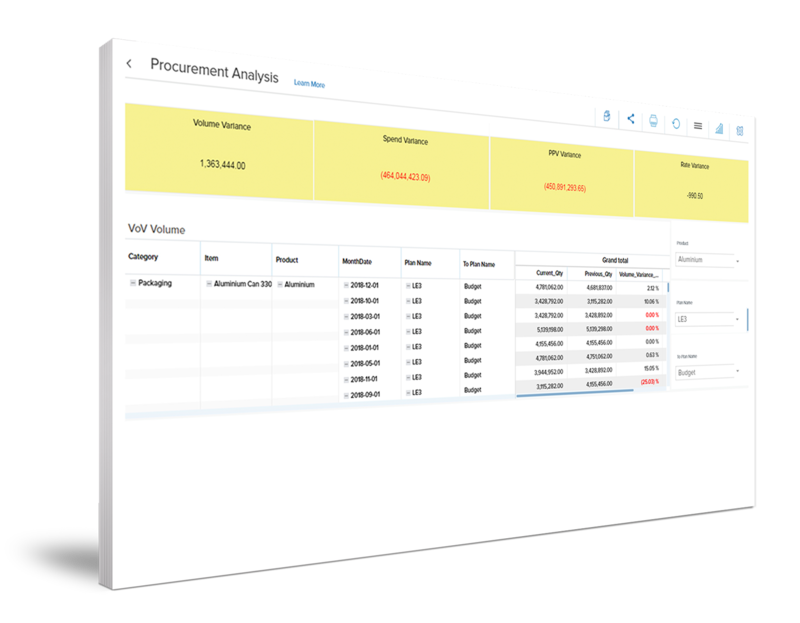 Make better procurement decisions with detailed analyses on raw materials, including coverage, spend and variance. 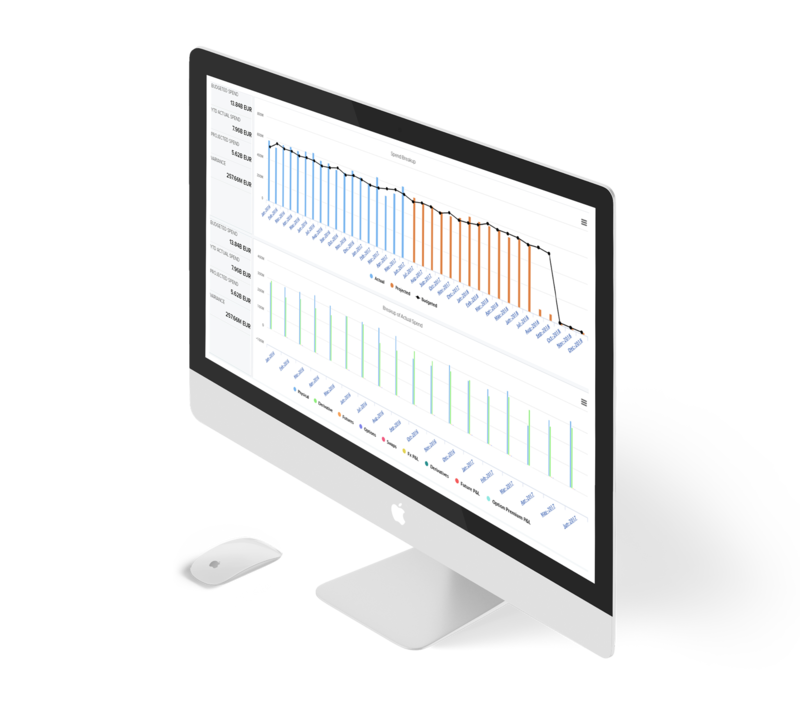 Analyze projected and actual spend against budgets. Track deviations and their root causes. Analyze spend breakup by supplier and identify best suppliers at the best rates. Simulate market and business events before they happen to assess the potential impact on coverage, spend and variance before taking action.